Today is a pleasant Christmas, the last Christmas songs of the popular British popular bandwoman bandworm are flowing from the radio, which makes the atmosphere excitement. It’s White Christmas. ♪ Hello, this is Momoko. The lunch year-end party with friends is also very fun this December. We extended it to the large shopping center and factory in the city. 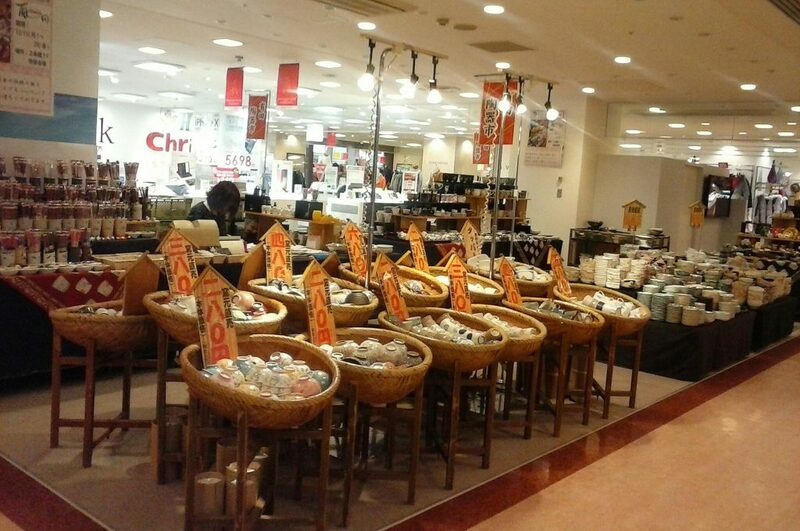 Take a escalator and take a stroll through various sales floors. Favorite select shop where beautiful clothes and bags are placed, clothing shop clerk shop Eddie – Bauer, which clerks are super good feeling. . There was a beautiful Arita ware exhibition! On the 2nd floor of the first floor, there was extraordinary holding of a pottery exhibition that I love as Gallery Arita. I was excited, I tried looking at plenty of vessels and dishes, bubbling, teapot etc.! 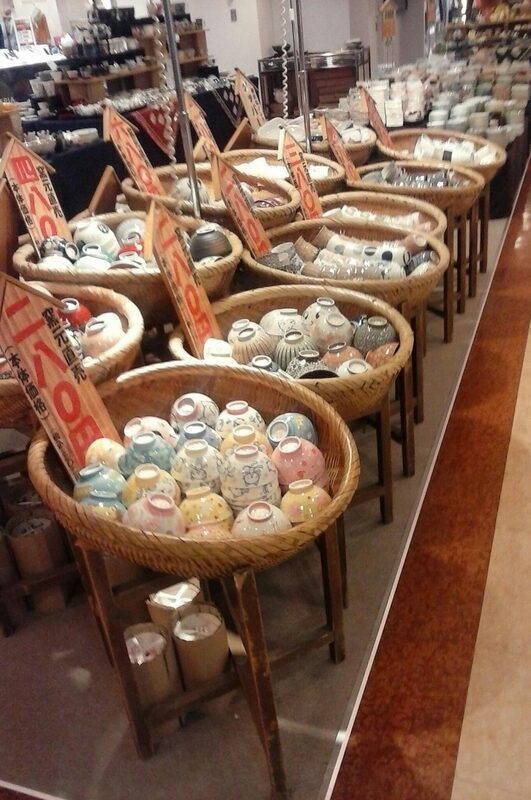 Arita-yaki refers to porcelain manufactured in Arita-cho, Saga Prefecture and its surrounding area, according to Wikipedia. It became widely used after Meiji era. Because of its delivery from Imari Port, it is also called Imarii. In relations with overseas, Arita Town has a relationship with Meißen city in Germany and is a sister city. Since 1659, it has been exported to the Middle East and Europe in large quantities. Sakai Kakiemon ‘s family line is famous, there are also human national treasures such as 14th generation. 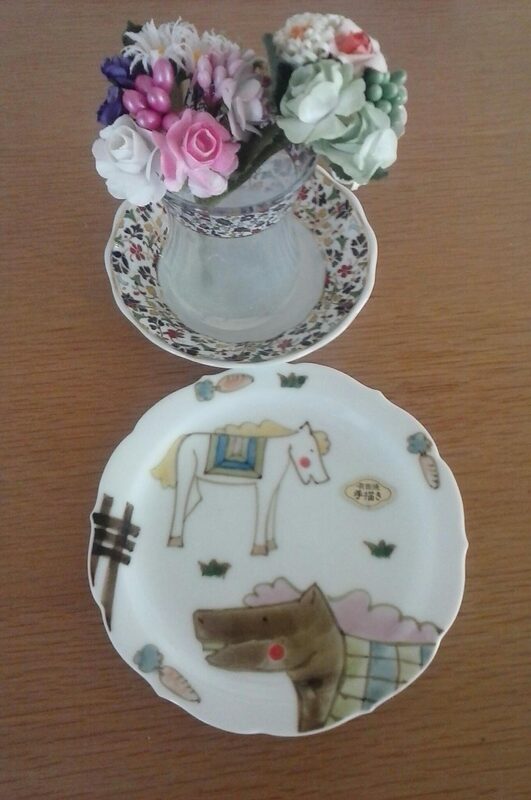 I found a pretty dragon and a horses’ picture plate! When you are closely watching it, chopsticks are good, but I found a plate of animal zodiac series that is very heart-catching! Especially among them, the dragon (Dragon) and the horses’ picture plate were cute and I was drawn strongly. If you look carefully, hand-painted handwriting stickers are stuck. I kinda laughed chuckly like Japan’s old-fashioned storybook ♪. (Haha) It is smart. As soon as possible, this is super light! The quality is very good, it is a characteristic of ceramics. I brought to the cash register without hesitation. I will never find a cute picture plate of such a nice horse! I thought. The joy that he encountered the bargain, the breasts became full. When asking a clerk, not being a permanent sales department, Aeon Mulberry Park will be held about once a year. Everyone, please do come and have fun! 3 minutes on foot from exit 8. It is a 12-minute walk from JR Sapporo station.